This is THE FOUNDATIONAL experiential tool for EVERYTHING Deb and Scott engage with. Deb engages you in breathing, identifying phrases, creating a relationship with your energy field and focuses on Chakras 1-4 (Heart, Solar Plexus, Sacral / Creation and Root). 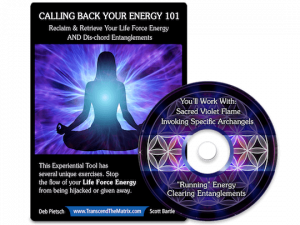 You will gain insight as well as learn how to clear these vital energy centers. It provides you with the foundational awareness and abilities to build upon in the progression of mastering becoming an Untouchable. Essential Engagement. Words alone cannot stress the importance of understanding AND engaging with fortitude and power of this subject and teaching. Your life literally could be dependent upon whether you proactively engage with these teachings or not... Deb’s did for three solid years of "hell on earth" experiences. This experiential tool and Activation will provide you with the foundation information, words, energy engagement and chakras 1-4 clearings. 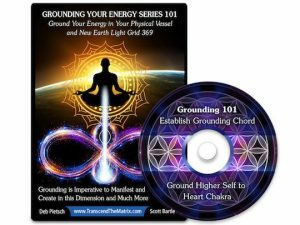 This is your foundational practice to begin your journey of becoming Masterful at Clearing Your Field, standing in your fortitude as an Activated and Empowered I AM Presence bering, as well as becoming an Untouchable. You will learn about your energy field as it relates to “real estate” so to speak. You will learn how to begin INVOKING your Highest Good. You will also learn terminology that will be used in subsequent progression of this and other tools. 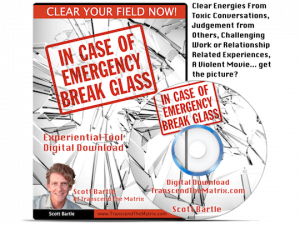 This Clearing Your Field Tool is a prerequisite for every webinar, class, retreat and private session that is offered by Deb or Scott. This video is from the Waking Up With Deb website from 2015... Deb's been talking about infiltration since 2010. And teaching people how to Clear Their Fields since 2011. This is an EXPERIENTIAL TOOL - it's not a meditation - which means that the communication, phrases and words are intended to be learned via this "training wheels" tool. There is Activation*** energy coming through so you should NOT be listening to this while driving. The best way to engage with this tool, is a quiet space by yourself (even in the bathroom if you have to!) as if you were going to meditate. Your brain isn’t currently (most likely) not hardwired for this kind of information or Activation, so you’ll no only be forging new neuron pathways, but also infusing more Light in to head and body than normal. Align with Prime Creator and your Higher Self, AS WELL AS “bridging insights & information” into THIS dimension to support your waking daily life. ***Be prepared to become drowsy and / or sleepy the first couple of times you work with this tool. AND please see the information about “Understanding Experiential Tools & Activations” (link from here). Please abide by the TTM New Earth Seal of Integrity. 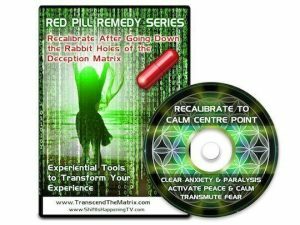 Please be conscious of the energetic signature of being out of integrity in sharing this with those who have not purchased this or any of our tools and offerings. Creating a reality of INTEGRITY begins with each of us...choose wisely. Clearing Your Field 101 has two audios for this tool. 1. Full introduction of insight for your engagement AND the tool itself. I have been doing the clearing for a few days. As you already know and state on the end of the clearing… it creates such a sense of calm, I fall asleep. The first time I did it, I’m saw amazing symbology in ancient geometry, felt like I was levitating and was buzzing (my feet) when I finished. Now each time I have different effects and will start writing down what I see. Thank you for creating such a beautiful clearing!